Many former cricketers are busy giving their opinion about India's World Cup squad. All the eyes were on India’s World Cup squad announcement on Monday and the moment finally arrived when the chief selector MSK Prasad and the BCCI secretary Amitabh Chaudhry did the needful. India left out Rishabh Pant and Ambati Rayudu who looked certainties to make it to the flight for England. While Vijay Shankar was preferred at the number four position, Dinesh Karthik’s experience got the nod as the back-up wicketkeeper. As soon as the squad was made public, the comments and analysis galore with many giving their opinions on who should’ve been picked and vice-versa. 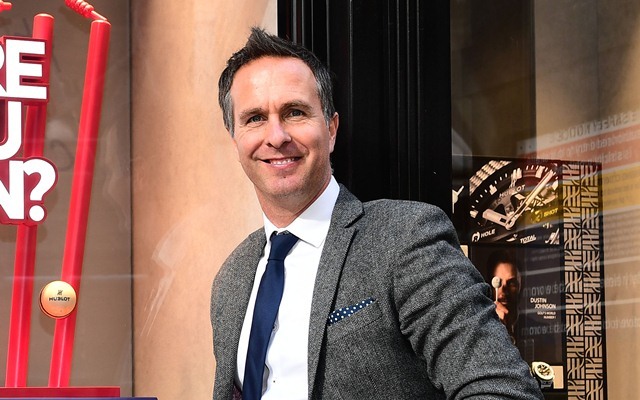 Michael Vaughan has also joined the bandwagon now and has expressed his disappointment over India leaving out Pant from the final World Cup squad. The former England cricketer likens the way Pant approaches the game and has praised the youngster before as well. Pant was being backed by Sourav Ganguly and Ricky Ponting previously. Both the legendary cricketers are in Delhi Capitals’ dugout looking at Pant’s progress and they were impressed with his batting and keeping. However, the selectors had cleared beforehand that the IPL performances won’t be considered and it seems they stuck to their word. Having said that, Michael Vaughan feels that the Indian selectors have made a mistake by not picking Rishabh Pant in the World Cup squad. He was quick to take it to his official Twitter handle and express himself. “No @RishabPant777 in the World Cup Squad … India must be bonkers !!!! !” Vaughan’s tweet read. Even MSK Prasad confirmed that there was a long discussion about Pant’s inclusion in the team but Karthik’s experience led to the latter getting selected. He also praised the youngster and, in a way, signalled that Pant is in their future plans and has a long way to go in his career. “Definitely a case where we debated in length. We all were in unison that either pant or DK will come in only when Mahi is injured. In an important game, wicket keeping is also important. That’s the reason we went with Dinesh Karthik,” he said while addressing the media.